The important and major websites are on strike in coming days against the draconian laws placed before US Congress that provides immense power to giant media house to enjoy the power to blacklist and disconnect any website on the charges of accused of copying and picking content from the other related website. Wikipedia is going offline for 24 hrs to protest law same is the status of Google, Amazon, Facebook which are protesting to stop SOPA facilitating copyright infringement. 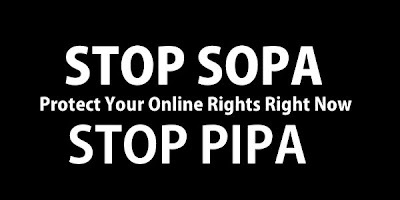 These bills are learnt as SOPA (the “Stop Online Piracy Act”) and PIPA (the “Protect Intellectual Property/IP Act”). The major websites in the wake to register protest against these bills are going on strike on tomorrow while replacing their homepages with a call to action SOPA and PIPA. Reddit started it from the day of action last week, and it has spiraling very fast and with pace and Wikipedia has also joined the rage to keep the fire burning. Dozens more companies, nonprofits, and services have expressed their desire to join the expressed either going offline completely or partially. WordPress, The Internet Archive, Diaspora*, and Identi.ca are among the top companies to join the protest. The sites still remaining online are post alerts or notices for their users to post alert and notices for their uses. Craigslist has already put a major alert on its particular metro hubs. Google also joining the protest as its putting a link to an anti-SOPA page on google.com may be below the search box in order to receive the millions of clicks. 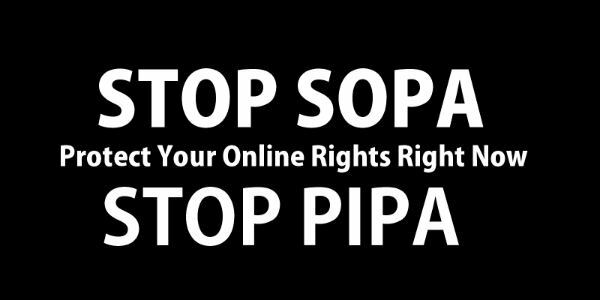 Amazon and Microsoft have also their intention of being against the SOPA and PIPA.